With traditional activities in decline, the Kilkenny LEADER Partnership recognised the importance of its waterways. Communities developed training to re-develop traditional river craft skills. Through this the area's local heritage was revived. County Kilkenny has a rich cultural heritage in which the commercial and recreational uses of its rivers plays a huge part. This project was developed to tackle the serious decline in the once widespread numbers of boat users. The tradition of 'cot' (small flat-bottomed craft that fish the upper reaches of tidal estuaries) construction as well as the developments of super racing cots and the skills needed to race them have been greatly affected by this decline. The numbers of traditional regattas have also reduced substantially. The main aims of the project were to promote local heritage and revive historical cultural practices. 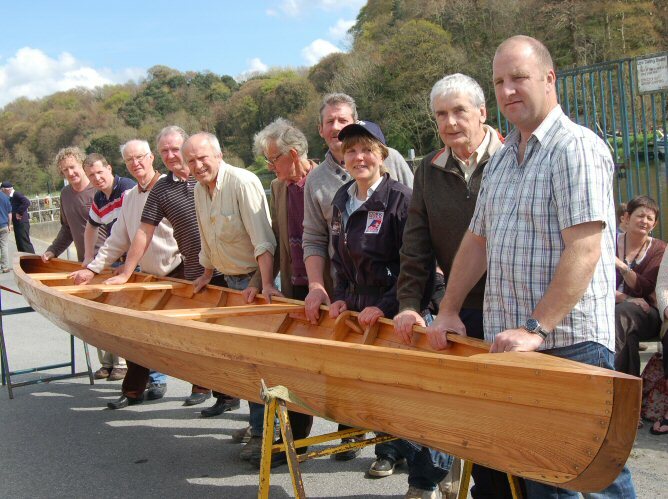 This was to be achieved through re-developing the traditional skills of local people and encouraging community participation through reviving traditional boat building and the use of these river ‘cots’. The project delivered various types of training to reinvigorate the traditional heritage of the local area. Firstly, local heritage information on the construction process of boats was gathered and documented. Accredited community training was then delivered to re-introduce the skills needed to construct boats according to heritage inspired local designs. The training delivered also involved eco-tourism, occupational first aid, exchange visits with Pembrokshire College UK, and work placements. The project has achieved its aim of reviving local cultural heritage. Specifically, it has resulted in participants receiving cultural education and certified accreditation, some have even progressed to Higher Education institutions. After constructing their river cots the training group participated in the Barrow River Celebration Event. These cot races are now part of a yearly River Festival Event involving nine river communities which have attracted both national and international interest. This project has shown that training in traditional skills can not only revive regional cultural heritage but also provide individuals with multiple opportunities. Specifically, while promoting the local area and cultural heritage, the training programmes developed by the project encourage individuals to commit to training, promote personal development, and provide participants with new oportunities to develop local enterprises.